Greek Chic- Time to Cozy Up! Brr! Its getting chilly out there already! Time to pack up the tanks and flip flops and break out the hoodies and boots! But are you REALLY ready for this winter? Not unless you are fully armed with all your warm and fuzzy letter gear! How about some of these cozy items? Sorority Snuggie– They do exist ladies, and Greek Gear has them! Choose your favorite color, thread color, and sorority. Perfect for those lazy movie nights with your sisters! One thing your Snuggie won’t cover? Your feet! But don’t worry, we’ve got those covered too. Our Sorority Slippers are sure to keep you comfy and warm all winter long! The colors change to represent your organization and your letters will be sewn on as well! Just a couple basic things to get you prepped for the cold! Remember, enter save20now and receive a 20% discount off your entire purchase today on Greekgear.com! 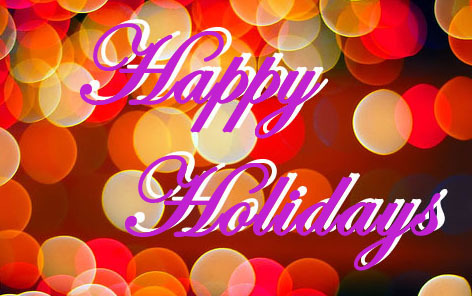 3 Campus-Wide Events to Host! 1. Etiquette Workshop- College will fly by, and before you know it you will be out in the “real world.” What better time to learn and practice your manners than now?! You can do the research and host the workshop yourselves, or bring in speakers to do it for you! 3. Danceathon- Perfect for a fundraiser/ charity event! You can raise money and have a dance party at the same time, does it get any better? Have other ideas?! Let’s hear them! We spend all day, every day communicating with others verbally and non-verbally. While it may seem simple, it can often be very complicated and cause problems. I’m sure you have experienced some type of miscommunication in your GLO. Many of these issues could be avoided completely if proper communication is used. Though there are endless tips and skills to improving communication, today we are just going to focus on three basic tactics. When you approach someone about a potentially tense situation, the last thing you want is for them to feel attacked or bombarded. The best way to avoid this is to use “I” statements. This is a method developed by the Ohio Commission on Dispute Resolution & Conflict Management. Creating a successful “I” statement is easy, just play a little game of fill in the blanks! 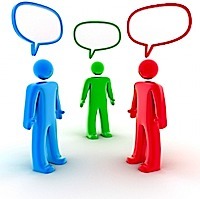 Using these statements will keep the other person from getting defensive, resulting in a more beneficial conversation. I can tell you from experience, THIS REALLY WORKS!! Give it a try! Last, but CERTAINLY not least- pay attention to your facial expression, eye contact, and gestures when having conversations. You may have a nervous habit that you don’t realize, but it would really effect the conversation. Personally, I tend to cross my arms often. I don’t do it to purposely close myself off, I just happen to have long arms and don’t know what else to do with them! But I have to think from an objective perspective- others see my arms crossed and assume that I do not want to be approached or that I am unhappy. Try to maintain eye contact, keep your hands at your sides, and face the person directly. These are three very simple things to think about before you confront that elephant in the room! I hope they help! Are there any other tactics you use to communicate successfully? Interesting statement. At my university, first-semester freshmen could not join Greek organizations either. However, the reasoning had a scholastic basis. There was a minimum GPA requirement and incoming freshmen have 0.00 GPA until the conclusion of their first semester. Freshmen were allowed to meet with Greeks and express interest, but any formal steps in the initiation process were prohibited. Now, I don’t completely disagree that it could be beneficial for freshmen to wait until they get “the lay of the land” you might say. That first semester can be overwhelming and you don’t want to rush into anything too quickly. You want to develop a routine, get your grades in order, and observe the differences among GLOs. Yet, you could also argue that allowing freshmen to join will give them a better support system which will help them adjust to their new lifestyle. Pros and Cons to both, of course! Also note- Princeton has stated that it does not even recognize any Greek chapters. It is confusing as to how that works, and how they are banning freshmen recruitment when they have not recognized any Greek organizations- I still haven’t figured that part out yet! I will update the post if/when I get that one sorted out. Until then- weigh in on your thoughts! Should freshmen be in or out?? Greek Chic: 3 Things for Your Chapter House! This week in Greek Chic we’re talking about how to jazz up your chapter house! 1. First things first! Make sure everyone on the outside knows just what organization this house belongs to! Our Neon Signs are unique and eye catching; day or night, these signs are sure you get everyone’s attention! 2. 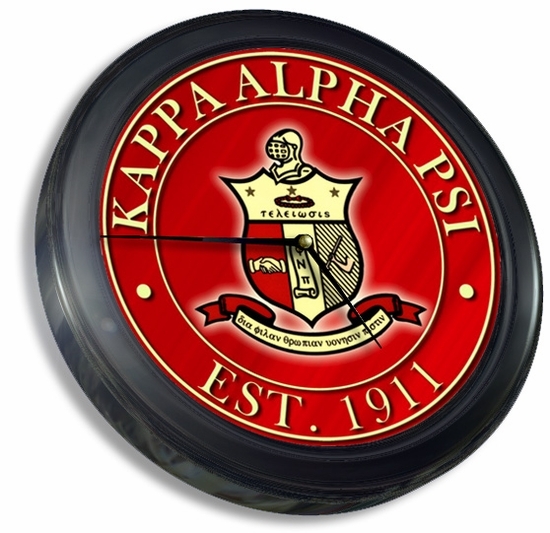 Add a little spirit to your living area with these Fraternity Crest Pillows! A new item to Greekgear.com, these pillows are sure to be a hit! For the ladies, don’t worry we have you covered too! How chic are these new Damask Sorority Pillows?! 3. Are you always on the go? Don’t be late! 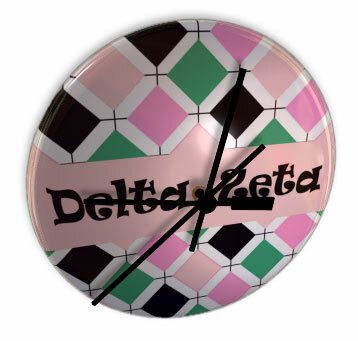 Check out our Sorority and Fraternity clocks! These are useful for any room in the house! Just a few things to get you started! Want to see more? Let us know!